One thing you will notice as you proceed through this tutorial is how easily this website could be transformed to a blog about design, a software company’s homepage or an open source community. All of the modules on the right and left sidebars could be swapped and moved around with ease and the content is designed to be flexible. The past days I was looking for inspiration in famous old paintings, and got interested on "Starry Night" of Van Gogh and thought: Can I apply this to web design? And the answer is Yes! 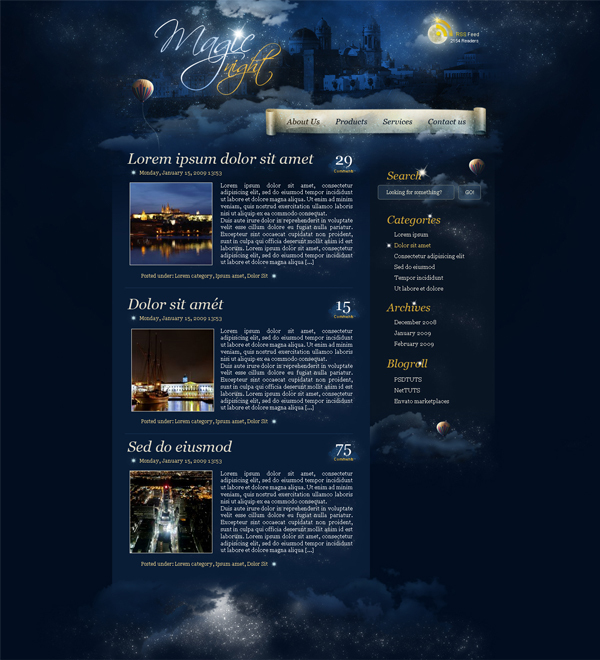 Then after several hours of work, here’s my tutorial for you, an artistic web design depicting a "Magic Night" concept. 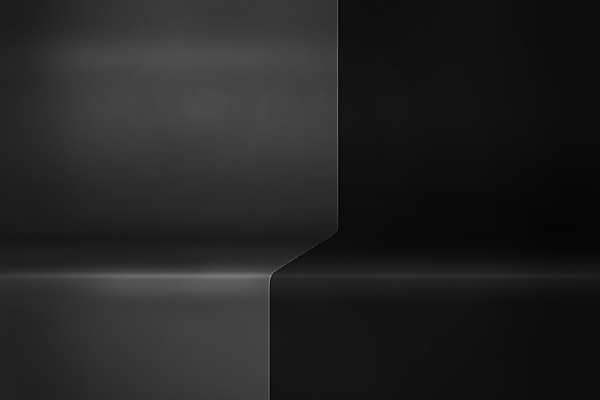 When working on GUI design, shapes are a great way to achieve a realistic look to your design. As the shapes are vector based, you enjoy the ability to resize them with minimal detail loss, which is a significant consideration in GUI design. 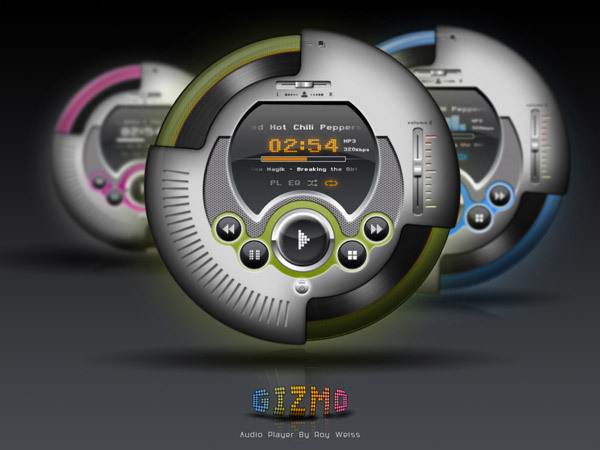 In this tutorial, I will show you how to create a detailed audio player from scratch. This tutorial will be a great opportunity for you to practice those Shape Tools and Layer Styles skills, with lots of adding and subtracting of Shapes. Enjoy! Photoshop is often the right tool for web design, especially if you’re creating a design using numerous images and brush effects. 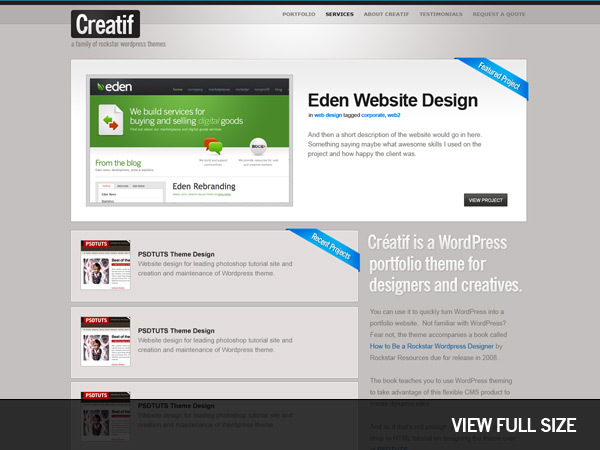 In this tutorial, I’ll show you how to create a complete grunge home page design. 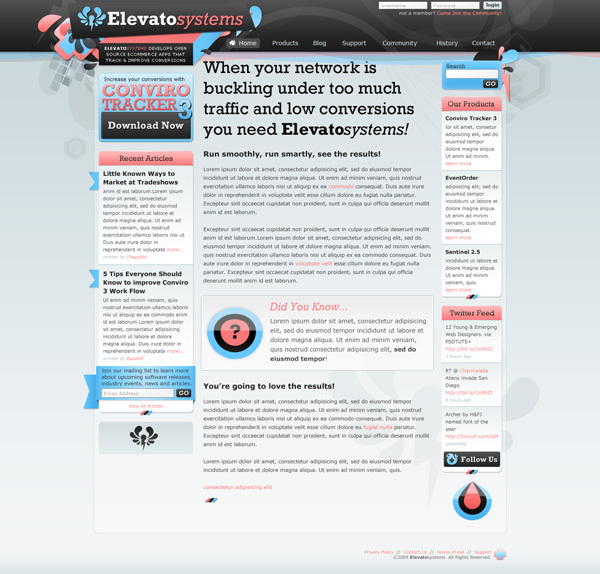 We’ll design the header, sidebar, body, footer, and style everything to work together in a heavily textured and worn design. 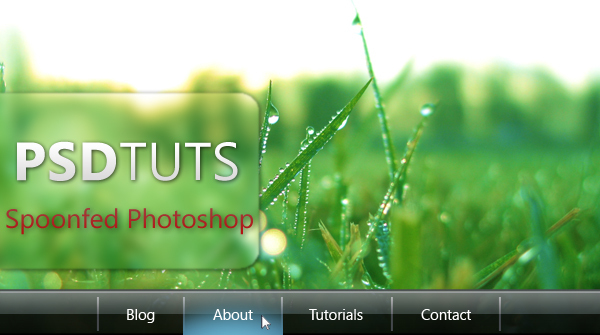 Today I’m going to take you through my entire process of getting from Photoshop to completed HTML. 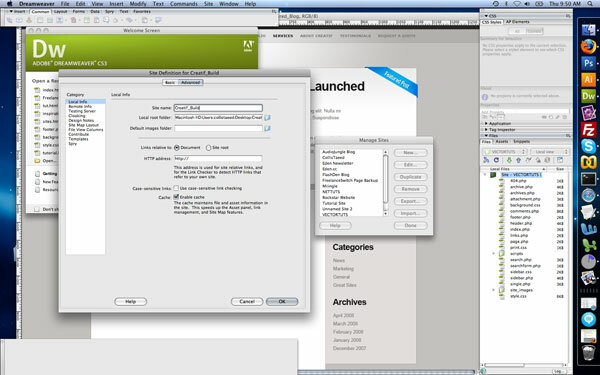 We’re going to build out a set of 4 PSD mockups of a website that eventually will become a WordPress theme. It’s a massive tutorial, so if you’re going to follow through to the end, make sure you have a few hours to spare! In the reader suggestions recently, I found a request to see how to produce the shelf interface on the incredibly cool Web site for Dragon Interactive, a Los Angeles–based creative agency. So here’s a method for producing the shelf effect. In this tutorial I’ll show you how to create an eroded metal text effect. Throughout this tutorial we’ll make use of various drawing techniques, channels, and patterns. Let’s get started! Typography can be a beautiful and important element to any website. 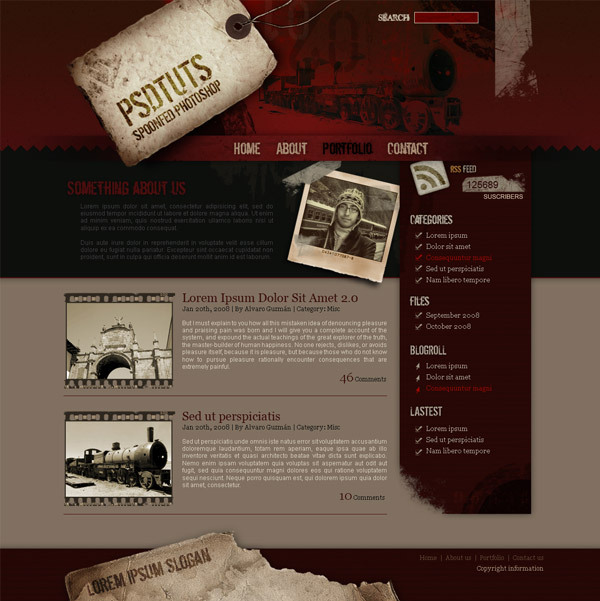 Its use in web design has been increasing, lots of designers try to make their website look unique, creative, and beautiful through the use of typography. Nowadays, in a very competitive design industry, use of typography is trending; it’s great at grabbing the attention of readers and making your site look very impressive. In this roundup, we have put together 39 beautiful and inspiring web designs using typography. If you have any of your own typography web design, we’d love to see them in the comments. Just share a link to your own website below! A realistic depiction of humanity, rather than some idealised concept of it, is a difficult thing to convey in an illustration. In this tutorial, Richard Wilkinson walks you through the process of how he created a portrait of an elderly man grieving. 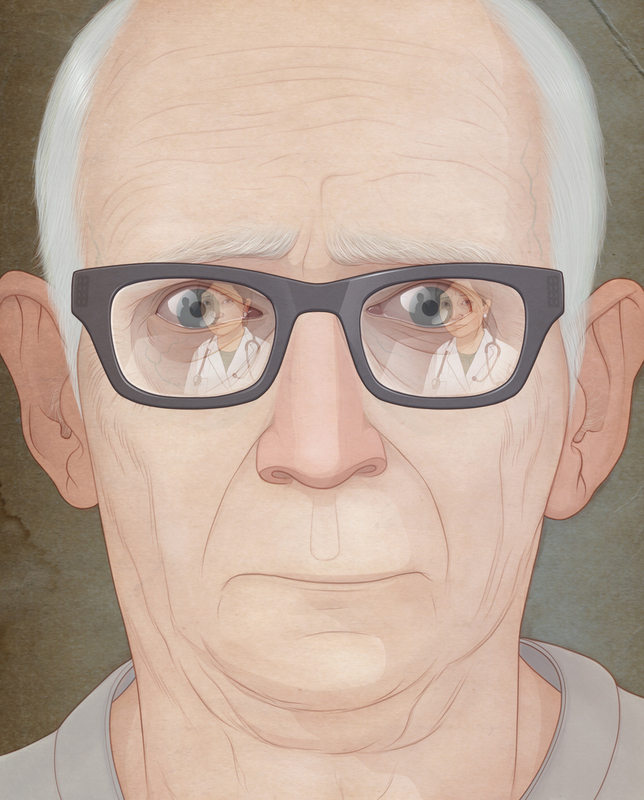 The artwork was created as part of a series accompanying an article on how police and medical professionals deliver tragic news in The Economist’s Intelligent Life magazine. The tutorial includes notes on how to prepare a sketch, create a rough digital painting, and how to finish the piece with sharp dynamic brush strokes, subtle colour fills and fine details through the gradual building-up of layers. You will learn techniques to add realistic shadows, and liven up the eyes and hair with highlights. Follow these steps to create your own portrait of a person experiencing a profound emotion. So put aside a day or two, grab your graphics tablet and pen, and prepare to create your own detailed digital portrait.